Are you wondering what exactly the floe edge is? 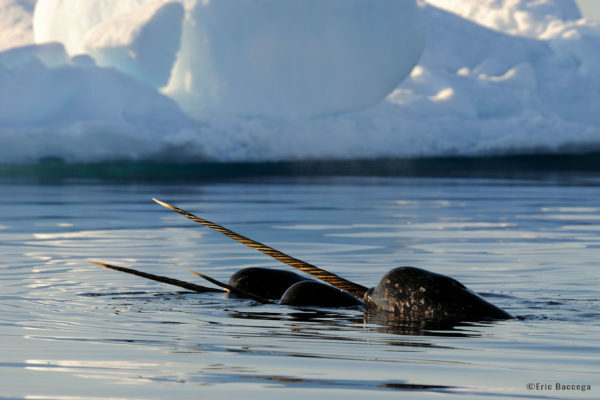 Or where the best place to see narwhal or belugas are in the Arctic? Looking to find polar bears in spring? We’ll explain what makes the floe edge and why it’s a wildlife hub! Let’s dive into what makes this ecosystem so active and the wildlife you can find there. The floe edge, or “Sinaaq” in Inuktitut, is where open water meets the ice still attached to the shoreline. This means it’s a fascinating eco-system where wildlife breath, feed and socialize. 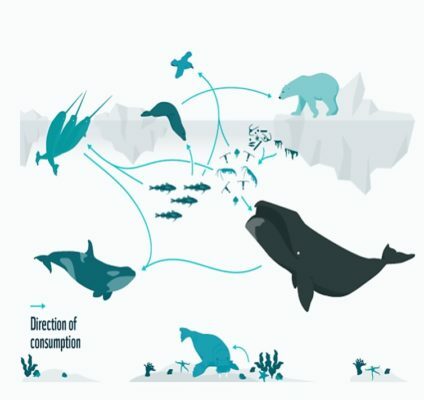 You may see pods of narwhal, beluga and bowhead whales as they navigate the openings in the ice. Since birds and mammals can’t breathe underwater, they gather at the floe edge. Seals and walrus will come up on the ice to rest or hide from sea predators. This makes it a great place to find polar bear. With so much wildlife activity it really is one of the top bucket-list destinations for visitors to see and photograph iconic Arctic wildlife. The floe edge emerges in the spring when open water begins to appear. The break in the ice allows sunlight to reach the water and this stimulates photosynthesis that energizes micro-organisms like algae. 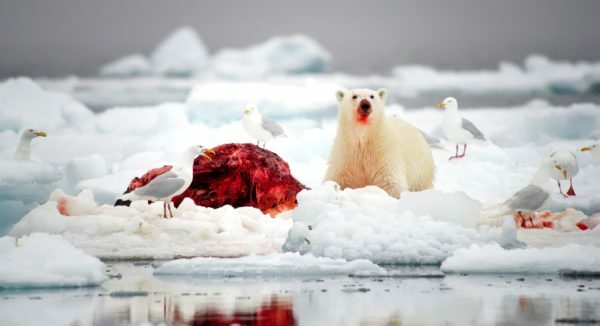 This begins a food chain cycle that brings more and more animals right up to the floe edge. The algae are consumed by zooplankton, like crustaceans (i.e. shrimp or krill). These in turn bring fish like Arctic cod or Arctic char, which becomes a vital food source for seals, migrating whales, and other sea mammals. And this attracts polar bear waiting for the opportunity to access prey in the water after a long-frozen winter. This dynamic eco-system forms right at the edge of the ice and presents unbelievable wildlife encounters. 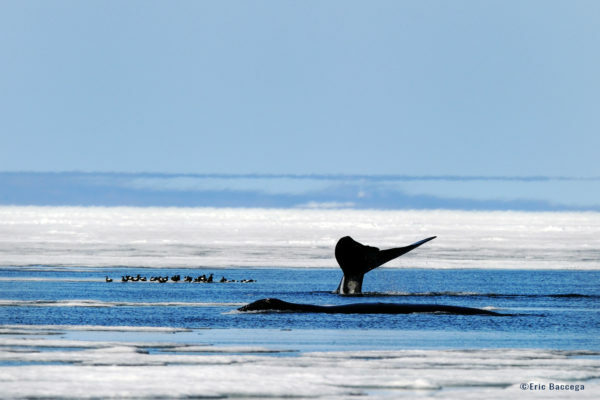 You may find whales swimming right along the floe edge or socializing in groups near the ice. One thing is for sure, it is a bustling hub of wildlife activity! 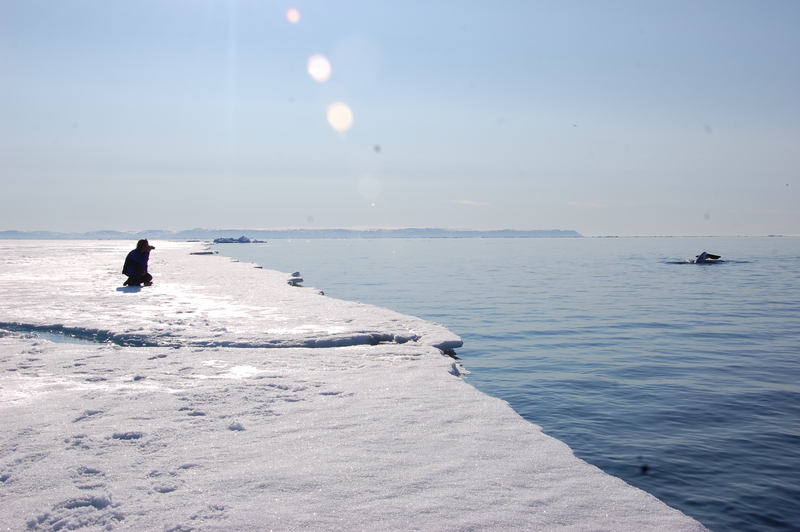 Since the ice of the floe edge is still anchored to the shoreline it is very accessible. Whether by snowmobile or sled it’s a matter of going along the ice until it becomes open water. 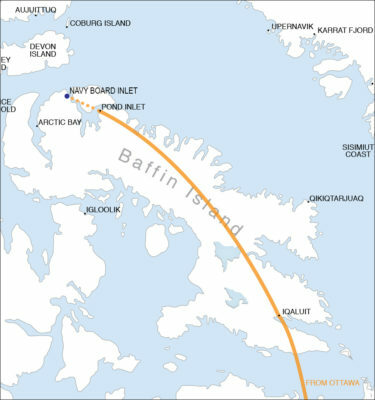 With so many migrating whales traveling through this region each spring and fall the community of Pond Inlet is the best access point to this renowned floe edge. We’re excited to be the only operator with access to the floe edge of Navy Board Inlet. This means it’s an exclusive experience for guests. 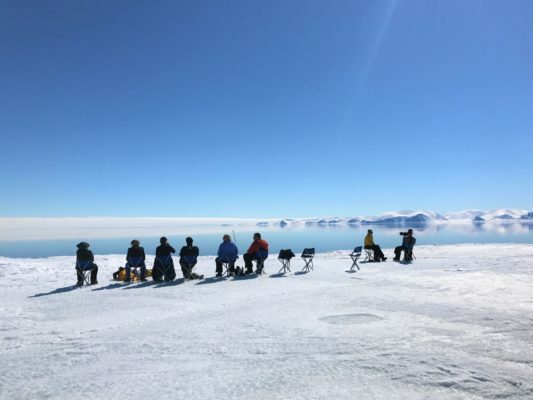 We’ve chosen this location because it offers one of the most consistent annual ice conditions making it accessible and comfortable. Navy Board Inlet, an arm the renowned Lancaster Sound that forms the eastern entrance of the Northwest Passage, is an important location for migrating whales. It is one of the main inlets that migrating whales come to feed and socialize through the spring and summer. This makes it one of the most reliable locations to encounter birds, whales, polar bears and more! 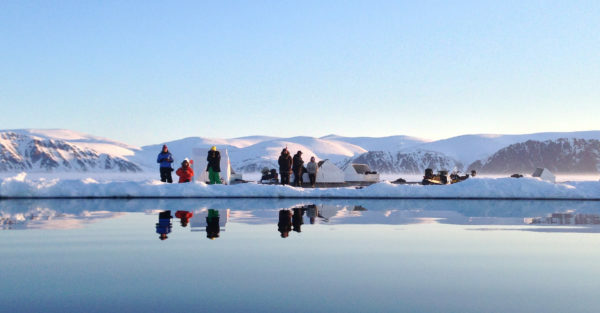 We are the only company in the world to offer an exclusive fly-in floe edge experience for guests. This gets you to the floe edge as early as day one and offers breath-taking views of glaciers, icebergs, and other stunning landscapes. Get chances to view elusive Arctic wildlife and experience the majesty of the Arctic on safaris year around. View all Arctic Safaris here. Ready for adventure? Contact our Arctic Travel Advisors to book.